The exact type of industrial rubber products used for your project will depend on several factors. Once the appropriate material is identified, your project will be molded or extruded according to your exact specifications. The following is a brief overview of the various materials commonly used for rubber products in Ohio. Keep in mind that not all rubber products are the same or of equal quality. With the following information, you will have a better understanding as to the type of material needed based on your application and budget. Pure Gum Rubber – If your application requires a type of rubber that is highly resistant to abrasion, pure gum rubber is a top choice. Typically, sheets or tubing are preferred, although there are other options. Because this type of rubber material tolerates high levels of heat, and the fact that it can be heated or cooled while maintaining its shape, it is an ideal choice of industrial rubber for your Ohio project. 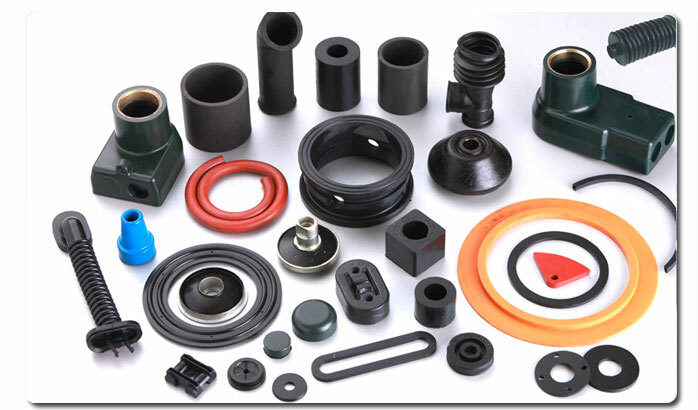 SBR Rubber – Rubber products in Ohio are also made with SBR rubber. Formally known as Styrene-Butadiene Synthetic Rubber, this rubber is ideal for a variety of applications and across many industries. However, it is most often used in the construction and HVAC industries. As a semi-abrasive material, SBR rubber is capable of withstanding up to 210-degrees Fahrenheit. For any durable application, this is an excellent choice. Skirtboard Rubber – When moving sand, gravel, and other types of similar bulk material, this type of rubber works great on conveyor belts while at the same time being a cost-effective solution. The primary advantage in using skirtboard rubber is that as a durable material, it helps prevent spillovers. As a result, you can better retain your bulk material. Silicone Rubber – For industrial rubber in Ohio that can withstand high heat, but is also a material that will not stick to your items, this is an outstanding option. Another advantage of silicone rubber is that you can have it cut into a variety of sizes. For manufacturing purposes, it is sold in rolled bulk. To ensure that you get the appropriate material for your project, it is important that you work with a company that specializes in this area. RPM Industries, Inc. is a leading manufacturer of rubber, as well as plastic and aluminum extrusions and moldings. We invite you to visit our website to learn more about the services that we offer or, if preferred, contact us by phone to speak with a company representative.